This past Christmas I received an excellent gift. It was a gift that I would not have thought to buy for myself. But after receiving it I realized what a tremendous asset it is to my daily life. It was a GPS smartwatch with contactless payments, a heart rate monitor, preloaded sport apps and much more. What a convenience it is to glance at my wrist and receive a snapshot of my basic vitals. And of course, who can leave out the infamous smartwatch wrist vibration. It’s a gentle reminder that nudges me to get up and MOVE. One of the best features, in my opinion, is the daily fitness and stress tracker. The watch calculates and tracks my stress level. It then alerts me when external sources cause my stress level to increase, so I can find a way to decrease it ASAP. It’s a fantastic and pertinent feature. And I’m not alone as a smartwatch user. This industry has grown leaps and bounds. Smartwatches are also known as wearable technology. According to International Data Corporation (IDC) and Statista, global shipments of wearables have increased 334% since 2014. They’re up from 28.8 million units to approximately 125 million units. 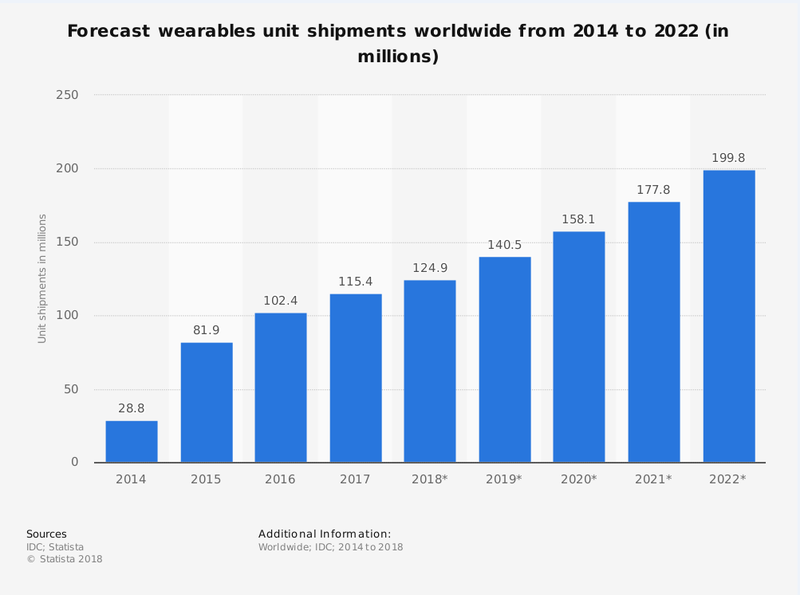 Wearable shipments are forecast to reach nearly 200 million by 2022. That’s a 594% surge in eight years. As with any industry with the potential for major, continued growth, you’ll see deals being made from various companies. The deals are mergers, acquisitions, partnerships and agreements. You name it, it’s being brokered. Google, a subsidiary of Alphabet, is now one of these dealmakers. A few weeks ago, Google announced a major deal to acquire part of Fossil’s smartwatch technology for about $40 million. This wearable intellectual property from Fossil has yet to hit the market. It’s poised to be game changer. Wearable technology is not new to Google. Since 2014 Google has had its hand in this industry, but from an operating system standpoint. Google’s wearable operating system is known as Wear OS. Wear OS is a platform specifically designed for smartwatches and other wearables. It’s compatible with Androids and iPhones. This deal with Fossil gives Google the opportunity to grow its presence in the wearables market. The deal also paves the way for Google to potentially develop a new smartwatch that competes with established smartwatches from Apple, Fitbit and Garmin. Google’s timing to expand its foothold in the wearables market appears to be spot on. According to a recent report published by Allied Market Research, the global smartwatch market was valued at $9.3 billion in 2017 and is projected to reach $31.1 billion by 2025. This is an increase of 234%. Smartwatches are portable. They’re intelligent. They’re also life-saving. Garmin, the maker of smartwatches like the vívoactive, Forerunner and fēnix, is working with the University of Kansas Medical Center to innovate digital health research. Together they are partnering to better comprehend how wearables can help detect and manage serious medical conditions like sleep apnea and atrial fibrillation. Fitbit is another major wearables manufacturer. It’s establishing itself as the go-to fitness device maker for major health care companies like Humana, Blue Cross Blue Shield and UnitedHealth Group. Fitbit is partnering with these health insurers to create connected health platforms that promote wellness solutions and health coaching. This partnership means more than 5 million Humana members will have access to Fitbit’s technology to help achieve specific health goals and outcomes. Last month Fitbit also announced, for the first time, it’s designed a wearable device specifically for employers and their health plans. 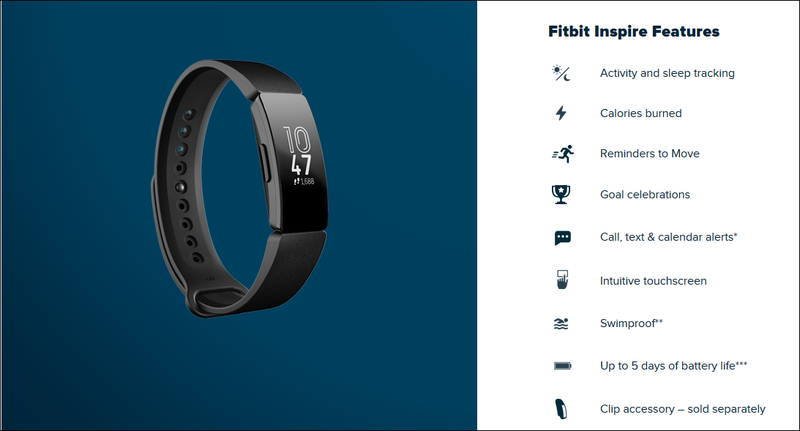 The products are called Fitbit Inspire and Inspire HR. They’re designed to track users’ activity and sleep patterns, among other features. This is just the beginning for smartwatch makers like Garmin and Fitbit. IDC predicts smartwatches will evolve to include many more features than they have today. The smartwatches of 2022, even 2020, will make today’s smartwatches seem quaint. Health and fitness are a strong start. But when you include cellular connectivity, integration with other Internet of Things (IoT) devices and systems and how smartwatches can enable greater efficiencies, the smartwatch market is heading for steady growth in the years to come. The SPDR S&P Technology Hardware ETF (NYSE: XTH) is an exchange- traded fund (ETF) that provides exposure to electronic components and equipment. This ETF has a sizable position in Fitbit.